Older adults can experience weight issues from two perspectives: lower levels of activity and slowed metabolism can cause weight gain, while medical and behavioral conditions can cause unintentional weight loss. For seniors looking to maintain a healthy ideal weight, diet and exercise are starting points. Self-care and life balance also play essential roles. Eating well is the cornerstone of good health. Often, seniors neglect cooking and preparing meals because they may live alone or not be accustomed to making less food. It can be challenging to prepare meals for one person or a couple when many recipes are keyed to four servings or more. Seniors also tend to be frugal, which might steer them toward cheaper convenience foods that may be nutritionally deficient. According to the National Council on Aging, seniors can run into eating problems since they require fewer calories but need more nutrients. A diet of refined carbs, for example, can lead to obesity and malnutrition as the seniors would not metabolize the extra calories and the carbs will likely lack needed vitamins. An older person’s taste could be affected by medicine or medical conditions, too, which can make eating healthy foods unpleasant. And other diseases, such as arthritis, might make chopping fresh vegetables difficult or painful. For these individuals, there are several options at the market for pre-processed, fresh vegetables. The slowed metabolism also makes exercise a necessary element for weight maintenance. Nutritionists recommend 150 minutes a week devoted to moderate exercise for older adults. Your body burns fewer calories while sleeping and throughout a less active day, so you have to increase your activity to get the furnace going and make up the difference. Exercise benefits seniors in ways far beyond weight loss, too. Seniors can tone muscles, which helps prevent injuries and exercise can provide emotional wellness, also. Activity is essential for a senior’s total well-being, but is often reduced during old age because of infirmity or listlessness. When seniors need motivation for exercise, highlighting the social aspect and incorporating self-care can do wonders. Various activities are gateways for positive social experiences. Exercise classes, dancing or even just walking with friends are all ways to meet and interact with others. All too often, seniors fall into a rut of inactivity where each day is the same as the last. Combining inactivity with a poor diet is a recipe for heart problems, disease and mental health concerns. This same rut that causes inactivity also can create conditions for depression and other behavioral health concerns to develop. Then, these conditions have a compounding effect on poor health by discouraging activity and encouraging unhealthy eating as a way to self-soothe. The depression and anxiety that can be common in seniors also can affect weight in another unhealthy way by creating unintentional weight loss. While to the outside world they might look healthy, they run the risk of nutritional deficiency that can rob their health. Exercise can boost depressed moods. Despair follows inactivity much too easily. Anxiety, too, grows during loneliness and restlessness. An exercise plan tunes your body and elevates mental health. Senior fitness ultimately requires a careful balance. Both exercise and healthy eating have benefits beyond healthy weight maintenance. Activity positively affects mood and proper nutrition can stave off disease and other health concerns facing seniors. Great tips! When my Mother lost about 10 pounds she was thrilled because she thought she was so slim. We had to convince her that it was not good to be too slim in her advanced years. What did we know but when her doctor expressed concern that she was too slim she started eating more. Haralee recently posted…Give me Your Tired, Your Overgrown, Your Divided, Unwanted Plants! My mom has gotten much to thin. She’s lost about 10 lbs since entering the nursing home. Hi Madhu, It’s easy to get caught up in the weight loss and forget about nutrition. This is so true. My mom is also having weight issues but I believe it is because of the slowed metabolism. Thank you for these tips. Will encourage my mom to exercise and eat healthily. It gets so much harder as we age. Great read and thank you for sharing them. It’s also important you can motivate them and maybe join with them too, together the better! :). Anyways, amazing post. Great idea Krystal. Eating a balanced diet and getting some exercise everyday goes such a long way in keeping seniors healthy as I’m sure you already know. So true Robert. There are different types of exercise for different types. I suffer from RA and I use water as my vehicle to exercise. As we get older we have fewer options. A lot of people don’t realize that the Silver Sneakers program can really help. I think one of the most important health and wellness tips for our senior loved ones involves social interaction. Since most of them are retired or are not working anymore, their social network is decreasing which can cause boredom or even depression. When sadness strikes, their health is affected and could cause either weight gain or weight loss. Strong support system and encouragement from their loved ones can contribute a big difference. Leandro Mueller recently posted…12 Outta Sight Health and Wellness Tips That Will Keep Boomers Totally Tubular! That’s so true Leandro! My mom was depressed before we put her in a nursing home and now she interacts with people all day long and it’s made a big difference. exercise is really important, regardless of the age but most of the old people can’t carry on with their exercise plan. It’s very important to stay healthy & build healthy habits at a young age. 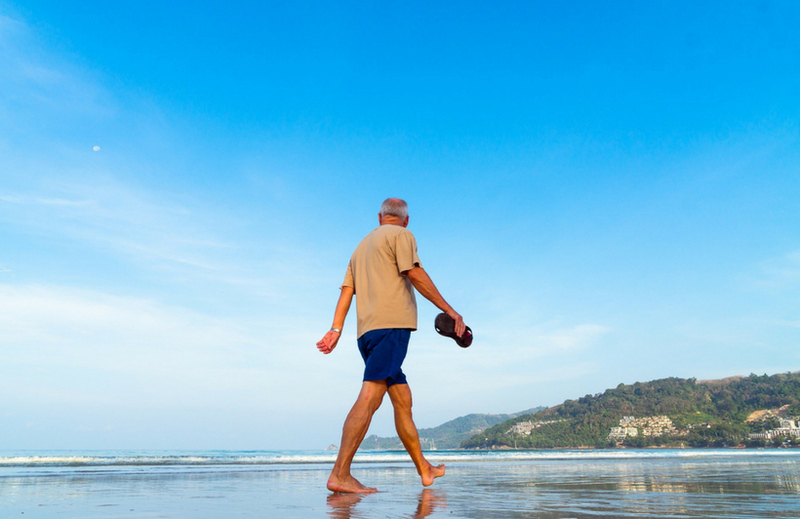 For seniors, walking is the best exercise that I would recommend. walking reduces the risk to have type 2 diabetes & other heart diseases. It can also improve one’s mood if one enjoys doing so. It was a great article. cheers. Science has come a long way to help in losing weight. In modern times there are procedures that is safe even for seniors who have problems on weight. I am so grateful I found your post, You’ve really covered up almost all the possible tips that a beginner should follow to weight loss. Actually, I got a lot of information from your blog which can help to make a weight loss plan. Thanks. Hi, Thanks for your awesome article. Actually, Losing weight as part of weight management is important because weighing too much is not good for your health. Being overweight increases your risk of health conditions such as heart problems, high blood pressure, type 2 diabetes and certain types of cancer.